Matthew Watson feels lucky to have been involved in cutting edge companies pioneering and innovating throughout his career. Matthew has been a brilliant catalyst for success for several businesses. His forte is taking newly formed businesses from concept to fruition. He attributes his success to the teams he put together and the efforts of his partners, friends and colleagues. His humble declaration may be true, but his history and evidence show that his presence in a company seems to invoke the Midas touch. Matthew Watson started his career as an attorney in corporate finance but was soon offered a position as Senior Vice President for a digital imaging software company. He joined the company during the advent of the digital camera in 1998. He continued with the company until it grew and went public. Matthew always had a passion for renewable energy and conservation. His next adventure was with a small marine lighting company with solar LED lighting. As COO he grew the business to become the leading solar LED globally. Matthew Watson’s sequence of success continued when he joined his friends and started up Armorlogic. This company created the first virtual web application firewall. The company grew and was sold to Alert Logic. He remained through the two-year transition to Alert Logic and in 2015 he was free to return to SendtoNews. 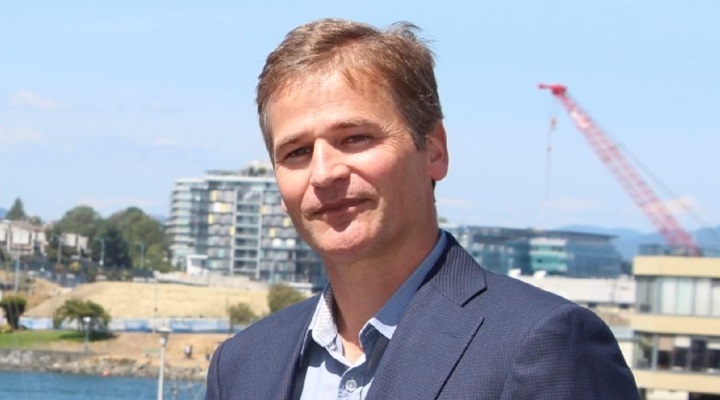 Located in Victoria, BC, Canada, Matthew Watson is currently serving as the CEO of SendtoNews. This leading-edge company launched initially as a video distribution platform. The platform evolved into a three-sided platform that enables leagues, teams and content creators to easily upload video content in a simple and timely manner, and publishers, journalists and editors to embed the video content and player in article and on their sites, and for advertisers, brands, agencies and sales partners to display their ads against the sports video content on great sites . Matthew assisted the founder of SendtoNews during its inception. The founder was well aware of the challenges faced in getting the video content to newsrooms. His idea was to create an easier method of distribution and publishing of video, so, he turned to Matthew for his business and technical expertise. Matthew engaged in the planning and resourcing for the company. However, he had a prior commitment to the transition processes after the sale of his company. He could not be a part of the initial start-up process. Upon completion of the transition, Matthew Watson joined SendtoNews as Executive Chair and subsequently became Chair and CEO. The company is currently the industry’s number one platform for sports video distribution. How did you get started with SendtoNews? What inspired you to start this business? Founders of the company came to me along with a few other people who I had worked with in the past. They asked for my help to start-up SendtoNews, but I was still involved with ArmorLogic at the time. In 2009 digital video was becoming more prevalent and very accessible. Clearly like digital imaging, digital video was going to be a big thing. The founder of the company was a newsroom guy and he knew how difficult it was to get a video to the newsroom. He saw the need for a platform that would make it easy to get that video to a newsroom from the person taking or curating the video. The team that was assembled then to build the platform forms the core of the team that has built SendtoNews into the top sports video platform and one of the top video platform in all content categories. The 2010 Olympics required a video distribution platform for their non-accredited journalists, that was the first commercialization of the idea. After the Olympics, SendtoNews continued to focus heavily on sports and by 2013-2014 evolved into an ad-supported business. My inspiration is starting a company and being instrumental in its growth. SendtoNews was just one of those companies that was clearly solving a problem but needed to figure out how to grow and monetize that growth. How does SendtoNews make money? We distribute through our platform official sports video content through, such as major league baseball, NFL, NBA, NHL, and PGA tour through 1,500 different publishers. We monetize the impressions that are created when fans go to view those highlights on our publishing partners sites. We share that revenue with our publishing partners and with our content providers. How long under this model did it take for you to become profitable? We are really just getting there now, so about eight years. When you made the switch to SendtoNews, was there ever a time you doubted it would work? If so, how did you handle that? I never doubted that SendtoNews would work but I did have some doubt whether we could find the support to see it through to its potential. It has taken a long time and a lot of hard work. The whole team knew we were on the right track and that we were helping people. Everyone knew we had a good platform and that we were helping publishers to thrive in the digital age. We helped them engage their readers while at the same time, reaching new fans for the leagues. We knew success would follow because we were helping our partners do what they needed to do. We all just dug in and worked harder. We work with our partners to fully understand our value propositions. We showcase our partners success to show where we are engaging new fans and showing great highlights. We can also show results to advertisers, and to sales partners and other publishers to ensure that they quickly and confidently understand our value proposition. That’s easy – the people that I work with, although I am just really lucky as well. Luck always has something to do with success. When people think of a business or project or charity I’m involved in, I want them to associate it with a trustworthy group of professional individuals who are easy to deal with and look for everyone involved to be successful. I am not very good at stopping to smell the roses. I would have to say that might be yet to come. However, I enjoy putting teams together and building a company that provides great opportunities for all who are a part of the organization. I like to see everyone benefit, not only the company but our publishers and partners as well. SendtoNews provides that benefit for everyone. It is a Bluetooth plugin! You can run anything off of it. It is a $20 modern-day convenience. I can use it on my boat and in my old car. What advice would you give to young Matthew Watson? I would tell young Matthew Watson to not be afraid of taking bigger risks and exploring the world earlier. When I was young, I lived in a small town and had no access to the available information that is the internet today. Without it, it was hard to see the endless sea of opportunities out there. What does the future hold for SendtoNews? What are you most excited about? We have hit a critical mass where everything is possible again. When you first start a new business, you believe anything is possible. You work very hard and you face many challenges. But then you get to the point where you don’t have to depend on anyone or anything for your success. That is where we are now. Consequently, anytime that we add a new content partner it strengthens our relationship with our publishers and other content partners. Similarly, when we add a new publisher we strengthen our other publishers and content partners. Our content providers reach new audiences and allow us to make a bigger contribution to them. Even though we have just become the number one sports video platform, we are really just getting started and I think that is the most exciting part.